It’s never been a more exciting time for scientific research, as can be seen from the range of projects we're currently involved in, many of which play a leading role in addressing some of the world’s biggest challenges. Our researchers are at the forefront of those efforts, working on everything from climate change and natural hazards, to geochemistry, petrology and volcanology. The impact of their work can clearly been seen in the way it informs public policy and developments in industry. Our research brings together experts from across the world, through collaborations with international partners and via financial investment from overseas. Other sources of funding include UK and national research councils and institutions. Students play a fundamental role in research, with collaborations often including postdoctoral researchers, PhD students and undergraduate students. The opportunities for fieldwork presented by all our courses and programmes attract a high calibre of ambitious, aspiring geologists. 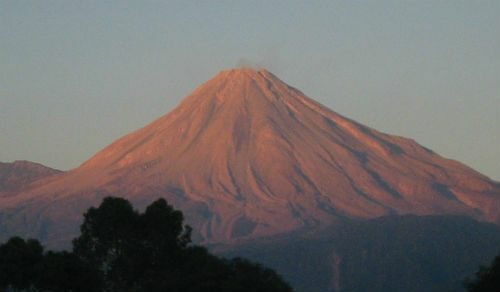 The Volcano Global Risk Identification and Analysis Project (VOGRIPA), funded by NERC, aims to create a global database of volcanic activity, hazards and vulnerability information that can be analysed to identify locations at high risk from volcanism and gaps in knowledge about hazards and risk. This will allow scientists and disaster managers at specific locations to analyse risk within a global context of systematic information. It is this added scope of risk and vulnerability, as well as hazard, which sets VOGRIPA apart from most previous databases. 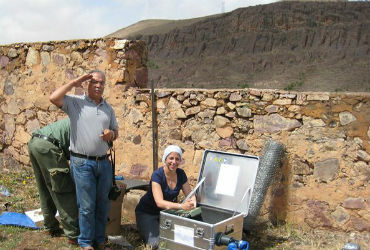 The database is complementary to the database of the Global Volcanism Program of the Smithsonian Institution. The core-mantle interface is the central cog in the Earth's titanic heat engine. As the boundary between the two major convecting parts of the Earth system (the solid silicate mantle and the liquid iron outer core) the properties of this region have a profound influence on the thermochemical and dynamic evolution of the entire planet, including tectonic phenomena at the surface. The CoMITAC project, funded by the European Research Council (ERC), will build multidisciplinary models to produce the first complete image of lowermost mantle anisotropy using the best available global, high resolution seismic dataset. The comparison of the models with these data is the key to making a fundamental improvement in our understanding of the thermodynamics and composition of the core-mantle interface, and illuminating its role in the wider Earth system. Tracing ocean processes using corals and sediments - Reconstructing abrupt Changes in Chemistry and Circulation of the Equatorial Atlantic Ocean: Implications for global Climate and deep-water Habitats. 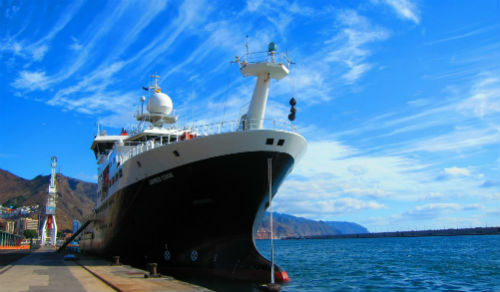 This project is a focused study of present and past ocean chemistry in the Equatorial Atlantic designed to address how the oceans modulate climate, as well as assess the impact of ocean chemistry on fragile deep-sea ecosystems. The project is funded by the European Research Council (ERC), European Commission (EC), and Philip Leverhulme Trust. Despite decades of research there are distinct gaps in our knowledge of the history of the deep and intermediate ocean. Major hurdles include access to suitable archives, development of geochemical proxies and analyses that are sufficiently precise to test climate hypotheses. Through a combination of ship board field work, modern calibrations and cutting-edge geochemical analyses this project will produce samples and data that address each of these gaps. The Bristol PCD project is a collaboration between the University of Bristol and BHP Billiton. Its primary objective is to modify existing porphyry copper deposit (PCD) models in the light of recent advances in geological research. 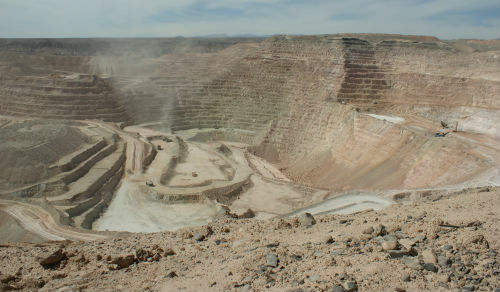 The study is designed to aid discovery of PCDs within the framework of BHP Billiton’s existing portfolio of activities – specifically, improving knowledge for exploration programs at existing mining operations as well as regional exploration locations in South America. Critical Behaviour in Magmatic Systems (CRITMAG): Linking experimental and observational petrology to understand magmatic behaviour beneath hazardous volcanoes. 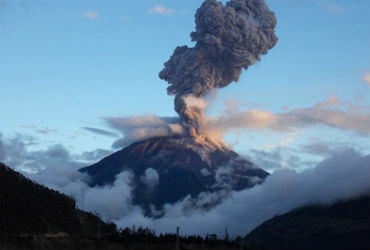 The CRITMAG project is funded by a European Research Council (ERC) Advanced Grant, and aims to quantify the causes of the periodicity of volcanic eruptions by studying many of the world’s active volcanoes and plutonic analogues. The project models fluid, heat flow and diagenetic reactions in complex carbonate reservoirs. It integrates process-based numerical modelling with existing observational data to generate predictive concepts of diagenetic modification of reservoir-quality in fractured carbonates. The project is funded by the Industry Technology Facilitator (ITF). 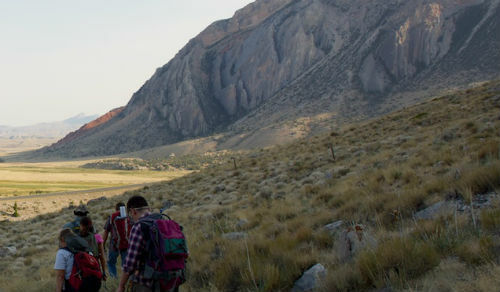 The BUMPS project covers a wide range of research themes concerned with developing a better understanding and exploitation of natural and induced microearthquakes in localised regions such as hydrocarbon reservoirs or mining operations. It is an industry consortium-funded endeavour emphasising fundamental research and knowledge transfer. 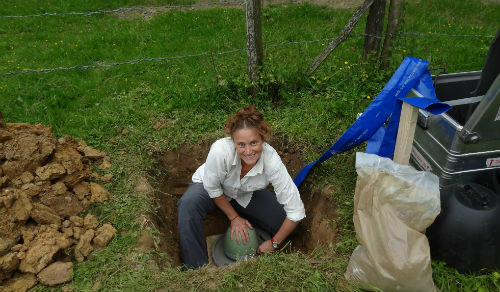 The project is based in the School of Earth Sciences at the University of Bristol, with collaboration with members of the School of the Earth and Environment at the University of Leeds. This project, funded by the European Research Council (ERC), has three linked strands that will combine to constrain the birth environment of the solar system and the nebular processes that shape bulk planetary compositions. Firstly, using ultra-high precision isotope ratio measurements in bulk meteorites to determine the stellar origin of the pre-solar of material that controls the gross compositional differences between planetary bodies. 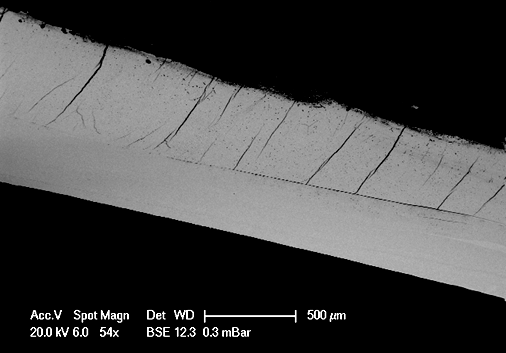 Secondly, identifying the mineralogical hosts of this isotopic variability, using in situ laser ablation analyses with a unique collision-cell multi-collector inductively coupled plasma mass-spectrometer, developed in close collaboration with an industrial partner (Thermo Fisher) as part of the project. 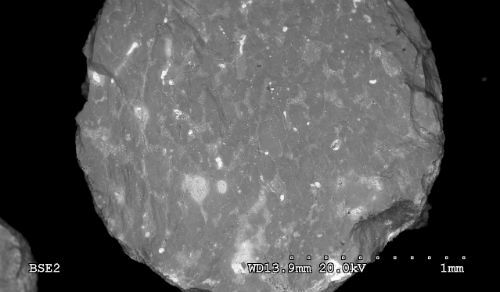 Thirdly, establishing a chronology for the mixing of the pre-solar material within the nebula, by dating individual meteorite components (chondrules) using ‘absolute’ Pb and relative 26Al-26Mg approaches and analysing the same aliquots for their mass-independent isotopic compositions. These observations will be quantitatively interpreted using novel numerical models of particle dynamics in the protoplanetary disk. This is an ambitious project that builds on the analytical prowess of the laboratory developed at Bristol and couples this with challenging technical developments and inter-disciplinary, modelling calculations. This work will radically improve our understanding of the history of the early solar system and the fundamental processes that shape its evolution. The UK Ocean Acidification Research Programme (UKOA) is a collaborative research programme, jointly supported by the Natural Environment Research Council, the Department for Environment, Food and Rural Affairs and the Department of Energy and Climate Change. It is closely linked to European and other nationally-funded ocean acidification research. In what used to be a speculative field, Bristol palaeobiologists have pioneered new techniques to test aspects of how dinosaurs lived and behaved. 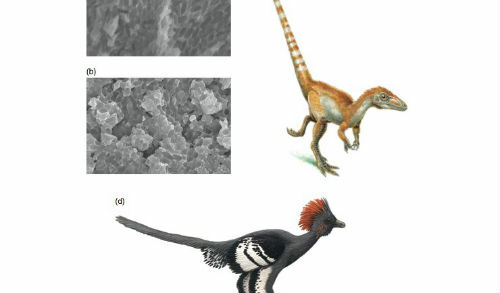 For example, using state-of-the-art imaging and geochemical analyses, remnants of pigments and pigment-bearing organelles can be reconstructed in the feathers of dinosaurs and fossil birds. This informs our understanding of vision and behaviour in the past, as well as the evolutionary impact of colour and sexual selection. Likewise, computed tomographic (CT) scanning, 3D digital modelling, biomechanical and engineering analysis allow Bristol palaeobiologists to reconstruct the function of ancient organisms, for example, testing hypotheses of jaw and limb function in dinosaurs, mammals and animals.